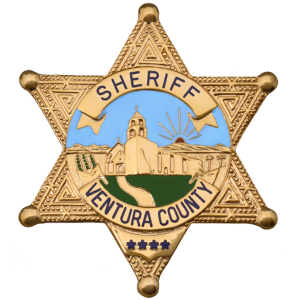 The Ventura County Sheriff’s Office staffs School Resource Officers at various campuses throughout the county. 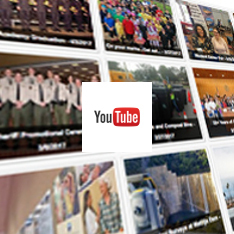 Typically they are staffed at area public high schools, but are also assigned to elementary and middle schools. 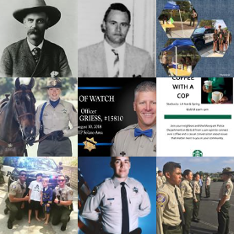 A School Resource Officer is responsible for general law enforcement on campus utilizing the community policing philosophy. 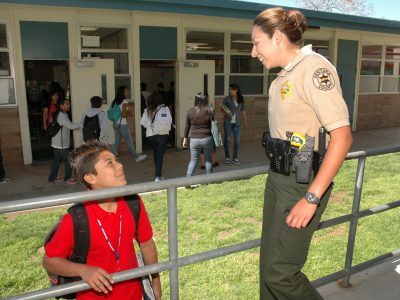 The Ventura County Sheriff’s Office School Resource Officer Program provides safe learning environments in our schools, providing valuable resources to school staff members, fostering positive relationships with youth, developing strategies to resolve problems affecting youth and protecting all students, so that they can reach their fullest potentials. Working with the school administration, School Resource Officers are also responsible for crime prevention programs on campus and creating a working relationship with students, faculty and administrators.